We've been waiting a very long time for a Tupac biopic — so long, in fact, that we got a hologram of the rapper before we got a movie about him. 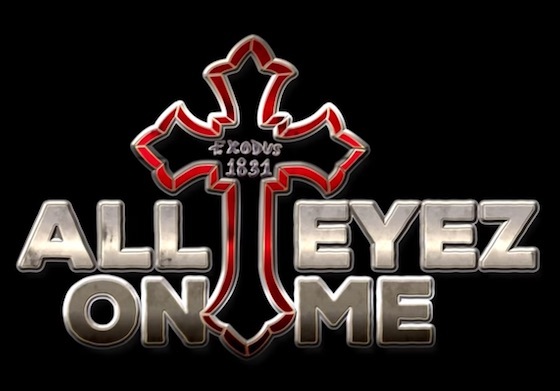 Finally, however, the new film All Eyez on Me is due for release, and today (June 16) we get our first taste with a new trailer. The film was directed by Benny Boom and sees Demetrius Shipp, Jr. take on the role of the iconic rapper. He's joined by the likes of Danai Gurira, Jamal Woolard, Stefon Washington, Kat Graham and many others. All Eyez on Me focuses on the events leading up to the rapper's death from a drive-by shooting in Las Vegas in 1996. Unless, of course, the real-life Tupac decides to prove us all wrong and show up at the film's premiere. Until then, you can feast your eyez on the new trailer below.